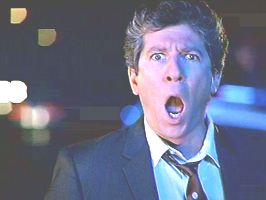 Peter Riegert was born on April 11, 1947 in New York City, New York. In 1978 Peter Riegert made his big-screen debut as a wild frat brother in the National Lampoon's saga, National Lampoon's Animal House. 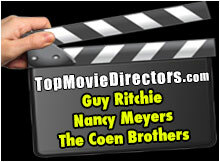 Bette Midler and Peter Riegert have a history on and off the big screen. In the '70s, the two lived together and in 1993, Riegert played Bette Midler's agent and perennial fiancé in Gypsy. 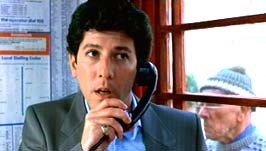 Peter Riegert has had several different roles over the years. 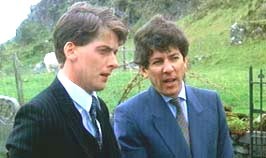 Peter has played a yuppie businessman in the 1983 hit, Local Hero. Peter played opposite Sylvester Stallone in Oscar, in 1991. In 1994, Peter portrayed a no-nonsense cop in The Mask. Peter Riegert also has appeared in TV movies and TV series, including: Back When We Were Grownups, Law & Order: Special Victims Unit, Damages, Cashmere Mafia, The Good Wife, and One Tree Hill. 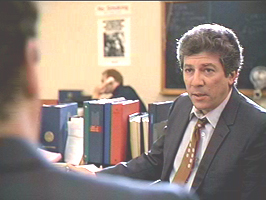 Peter Riegert in Local Hero. Peter Riegert in The Mask (1994).